Facebook is a self-esteem killer – studies even prove it. More so than Twitter or Instagram, Facebook is designed so you can constantly show off your amazing life (Look at my awesome pictures from my trip to Turks and Caicos. See how many friends I have! Did you notice how many likes I got for that status update about my new beach towel?). But what if your life isn’t that amazing? Although many people use Facebook just to keep in touch with friends and family they don’t see very often, for some consistent users it’s often difficult not to let these things get to you. Maybe your life doesn’t look so cool on Facebook. Maybe that bothers you. Once college began Facebook became an essential part of my social life: it was how I was invited to parties and notified about campus events, and most importantly, it was a way for me and my friends to stay engaged absolutely every moment that we weren’t already together. When my focus should have been on term papers and text books, I’d be chatting with friends and posting photos on their timelines. It wasn’t time well spent, but it was certainly a fun distraction. To not have a Facebook at that time would have been socially devastating. It never even crossed my mind to go without an account at that point in time because it was a humongous part of my day-to-day life. I wouldn’t have admitted my dependency then, but it’s clear looking back. Just a few days after I graduated, I decided to delete my account. A lot of things had been building up to that point, but essentially, since I was done with school I didn’t want to be constantly reminded of what everyone else was doing. Rather than packing up and jetting off to Los Angeles (like many of the people I knew) I decided to stay in Tucson and take some time off. And by take time off – I meant from everything. I no longer wanted to know what my classmates and friends were always up to. It’s just not human. I was tired of seeing where the girl I hadn’t spoken to since middle school was taking her family vacation. I had so many Facebook “friends” I hadn’t spoken to in person in the past few years and I probably wouldn’t have much to say to them if I saw them in person. I felt so uncomfortable having such close access to everything in their lives. Unlike Twitter or Instagram, many people on Facebook share practically everything. From “I just had my baby” to “if you don’t own a gun you’re un-American,” I had enough. I was done. Now to be honest, I do share a lot on Twitter, but not everything I’m doing. Since I’m somewhat new to Twitter and Instagram, I can actually follow people I want to. I’m not “required” to follow that one girl I had spanish with in the 8th grade, simply because she friend requested me. Because two individuals had to accept “friendship” on Facebook (rather than following back or not following) I felt this requirement to accept everyone I barely knew, so that no one had their feelings hurt. Facebook became frustrating at the end because there were at least a hundred people I wanted to un-friend simply because I no long knew them very well, but I couldn’t bring myself to do it because I knew how hurtful it could be. For me the problem is keeping up appearances; appearances for old friends, classmates, and even family. As someone who takes stock in my online persona (which is particularly important as a person who blogs) I was tired of keeping up the idea that I was popular and exciting. I no longer feel like I need to prove it to people I knew 10+ years ago. It’s time to grow up, and for me, that meant ditching Facebook for good. 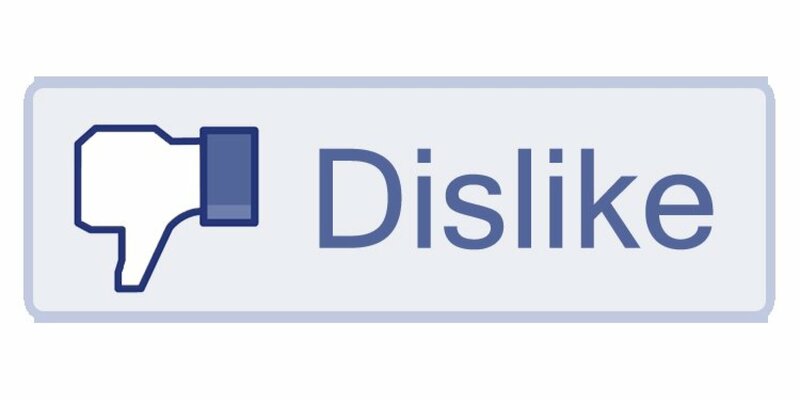 Do you love Facebook or love to hate it? Let me know! the use you give is what determinates that but surely you made a valuable point, in my particular case what bugs me a bit from time to time about Facebook is that seems the majority of the users interactions seem to point to the ”stupid” kind of quality shared, for example someone posts something intelligent or a good advice gained from hard work and you can almost get 0 likes and on the other hand you can see a lot of posts and pages such as ”i just ran out of toilet paper! !” or ”telling my neighbor he’s a scum” or ”drying my wet shorts” and quite possibly it will get hundreds of likes specially when there are groups dedicated to build a massive fantard base that will pretty much hike up their self-esteem by liking every stupidity they post to make themselves feel cooler or better, i dont like twitter nor Instagram either that much at all i had opted to stay in FB before going to those, but seems better to just use it for something in particular or for yourself once in a while and not sharing what you dont want to share, but again the primary thing that bugs me is not how FB makes business but the huge portion of users that seem to follow a trend of ”follow all these stupid nonsense s**t this person or the other post” to enrich their inflatable egos (particularly when that he or she or group is already popular) this however makes you doubt if you want to share some work of your own there or real thoughts you have since a lot of people realizes FB seems not be made nowadays to share anything but low quality self centered fan bases of posts that make absolutelly nothing but drama and reward stupidity, other than that no complaints about the site itself lol. I totally thought I responded to this comment months ago! I just went on a bit of an anti-Facebook rant on Twitter (which is totally ironic), so I revisited this post and saw your comment! Anyways, you bring up some great points. Social media definitely is what you make of it, and all in all, each platform is an invaluable tool. Although I don’t use Facebook anymore (and recently got rid of Instagram too) I do blog and use Twitter and Snapchat nearly every day, so I don’t abstain from social media entirely. It’s a great way to share information, learn from your peers, and stay in touch with your loved ones. What does bug me, however, is the whole “hey look at me and my cool life” aspect of it. Our online personas are just calculated versions of ourselves, and I sometimes feel like people are more absorbed in their online lives than their real ones. And you’re right – rather than share ideas and concepts that actually matter, most people are too busy sharing pictures of their food and pointless anecdotes (which I must admit, I’m completely guilty of from time to time too). Anyways, thanks for your insight! There are so many other more fulfilling things to do then waste your life away on Facebook. I too cannot stand it. I am on it only out of necessity. Of course if your a billionaire like Mark Zuckerberg it’s great to waste your time there. Wake up people wake up. I cant stand it….if people invested the amount of time into their family as they did into wastebook…they would realize the non reality within this social web site. I’m tired of it definitely taking some time off, the same people are on there 24/7.